Are Antarctica's glaciers losing or gaining ice? The continent's vast ice sheet could have a big impact on sea-level rise. Antarctica’s glaciers are constantly moving. New ice forms in the interior as snow falls and is compacted under its own weight. This new ice then pushes the older ice downhill toward the sea. But now, Antarctic glaciers are losing ice faster than they are gaining it. While at the University of Leeds, Hannes Konrad was part of a team that studied how the ice shelves on the outer edges of Antarctica are changing. An ice shelf is where land-based glaciers extend out over the ocean. The point at which the underside of the shelf hits the land under water is called the grounding line. 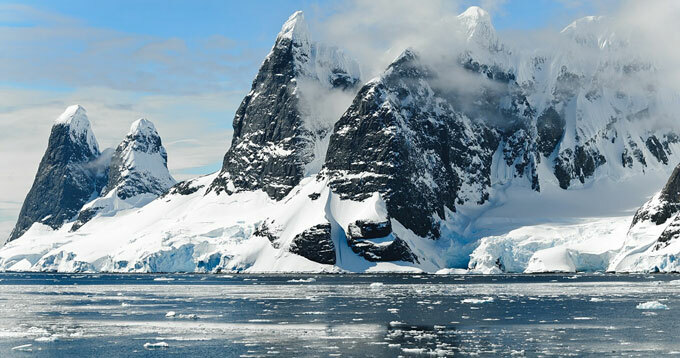 Konrad’s study found that the grounding lines of most Antarctic glaciers are rapidly retreating. He explains that as oceans warm, ice shelves melt from underneath – so they become thinner and start to disintegrate. That makes the glaciers on land flow more rapidly into the sea, which contributes to sea-level rise. Antarctica may be far away, but what happens there will have major consequences for the millions of people around the world who live on or near the coast.